Indian hockey team open their Asian Champions Trophy campaign in style, thrashing Japan 10-2. What a thrilling match! Defending champions Pakistan have been upset by hosts Malaysia 2-4 in the opener. Sundeep Misra from Malaysia: India have won their 1st match in the Asian Champions Trophy by a massive 10-2. Rupinder Pal Singh with 6 goals led the charge. India now play their 2nd match on 22nd October against South Korea and then their all important match against Pakistan on 23rd. That's it for now from the Asian Champions Trophy at Kuantan. Final scores: India 10-2 Japan. 50' Goal! It's young Affan Yousuf this time who hits the net to bring up Goal No. 10 for India! Sundeep Misra from Malaysia: India get their 10th goal as Yousuf Affan gets his 1st goal for the senior team. India has changed their goalkeeper as Sreejesh goes off for Akash Chikte. India lead 10-2 over Japan. DOUBLE HAT-TRICK FOR RUPINDER PAL SINGH! What an impressive performance from the Indian. Sundeep Misra from Malaysia: India get their 10th penalty corner and Rupinder Pal Singh finds his 6th goal and India go up 9-2. This is a thrashing that Japan is getting. In fact, they are not as bad as the score makes it out to be. India are scoring at their will. Japan have absolutely no answers. 9-2. Sundeep Misra from Malaysia: India get their 9th penalty corner as the 4th quarter begins. Japan wants a referral. But they lose the call. Massively powerful flick by Rupinder as he gets his 5th goal and India lead 8-2. And India make it 8-2! Ruthless display from the Men in Blue. Sundeep Misra from Malaysia: End of the 3rd quarter. India lead 7-2 as the drizzle weakens. India are taking it slightly easy though the runs are hard but that extra zing in the game that was in their 1st and 2nd quarter is missing. Oltmans wouldn't want the players to relax as they play South Korea on 22nd October. It's starting to drizzle again.Japan have played well in the 3rd quarter, constantly pushing players up and breaking Indian moves in the midfield. Their counters are effective ensuring that the Indian defence doesn't move up much. Meanwhile, India get their 8th penalty corner but Rupinder's hard flick is saved by Kunitomo. India leading 7-2. Sundeep Misra from Malaysia: Japan get their 2nd penalty corner of the match, first in the third quarter. Leads to play and Japan's Ochiai gets the goal which is a defensive error from India. Sundeep Misra from Malaysia: India get their 5th penalty corner and Rupinder's shot is saved. But the move leads to another penalty corner, India's 6th. Rupinder's low flick hits Kitazato on the feet and India get their 7th PC. But the variation fails. After the break, there's a relative period of calm as compared to the first two quarters. Surprisingly, no goals scored in the last seven minutes. Sundeep Misra from Malaysia: Match begins in the 3rd quarter. It's a massive task for Japan as they are down 1-7 against India. But they had a good chance when Kitazato dribbles his way in but Sreejesh came off with a great save. Sundeep Misra from Malaysia: End of the second quarter. It's the half-time break as both the teams go off. Indian coach Oltmans wouldn't have much to discuss we guess except the break that Japan got. India leading 7-1 at the interval. Japan finally get a goal. It's a beautiful move after snatching the ball from the midfield. Hiroki's pass finds Tanaka, who slides in and pushes the ball past Sreejesh. Looks like the Japanese defence has no answer to Rupinder Pal Singh who gets his 4th goal and India's 7th of the match. For those coming in late, it still 7 plus minutes left in the 2nd quarter. Sundeep Misra from Malaysia: Japan get their 1st PC of the match...but the Japanese miss the flick. On the counter, India have their 4th PC. Talwinder has joined the goal-scoring fest! Sundeep Misra from Malaysia: Goals are raining here. Lovely one-to-one tap between Talwinder and Ramandeep and then Talwinder gets India's 6th goal. India lead 6-0 with more than 10 minutes remaining in the 2nd quarter. Sundeep Misra from Malaysia: India are ahead 5-0. Rupinder Pal Singh gets his 3rd goal of the match; all 3 penalty corner's converted by him. Sundeep Misra from Malaysia: The first quarter ends. India is leading 4-0 and looks very comfortable. Sardar back in form, marshalling the midfield, creating chances. All the forwards playing quick, inter-changing positions making the Japanese work hard. Two goals scored each by Ramandeep Singh and Rupinder Pal Singh. Sundeep Misra from Malaysia: Lovely move on the right by Lalit Upadhyay and Ramandeep on the top of the circle with a deft reverse shot; beats the Japanese goalkeeper. India lead 4-0. India ahead 3-0 and we still have 5 minutes left in the first quarter! This has been scintillating stuff from the Indians. Sundeep Misra from Malaysia: India have their 2nd PC of the match. And it's Rupinder Pal Singh's second goal of the match, ball deflecting off a Japanese stick into goal. India lead 3-0. Firstpost expert Sundeep Misra live from Malaysia: Great move from the midfield, India gets a penalty corner; their 1st in the match. Direct flick shot by Rupinder Pal Singh. India are comfortably ahead 2-0. This has been a tremendous start from India. On the attack from the word go. Firstpost expert Sundeep Misra live from Malaysia: Affan Yousuf has a great chance but the Japanese golakeeper cuts the angle keeping the flick out. Firstpost expert Sundeep Misra live from Malaysia: Rains have made the turf heavy. Once during the Pakistan - Malaysia match the game was stopped and then just before the India game, the rains came down again. Firstpost expert Sundeep Misra: India off to a super start. Goal coming in the 2nd minute. Ramandeep opening the score for India and himself in the tournament. India lead 1-0. Time for India's match now! Can the Asian gold medallists start on a winning note in their opener against Japan? Hello and welcome to our live coverage of the Asian Champions Trophy 2016! In the opening match, defending champions Pakistan take on hosts Malaysia while India will play against Japan in the second match. Stay tuned for live scores and updates through out the tournament. Preview: Asian Games gold medalists India start as the overwhelming favourites to reclaim the Asian Champions Trophy (ACT) men's hockey tournament featuring continent's top six nations, starting on Thursday. Winners of the inaugural Asian Champions Trophy at Ordos five years ago, India have since then been indifferent in fielding their best squad for this competition, which suffered from lack of enthusiasm among the continent's hockey elite. After two editions of the annual event were not conducted in 2014 and 2015, the Asian Champions Trophy got a boost from the International Hockey Federation's (FIH) decision to include it in the qualification system for future Olympics and World Cups. 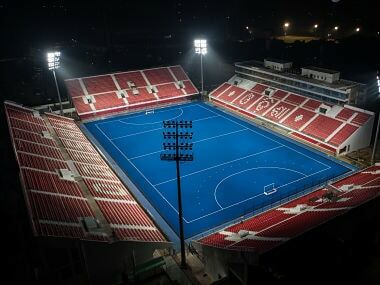 The FIH decision has attracted the top Asian hockey talent to the Malaysian post city of Kuantan which will quality action from October 20 to 30. Fielding their best-available squad that was marred by a spate of injuries, India's billing as the hot favourites could put them under pressure. Twice defending champions Pakistan, who are the best performing team in the Asian Champions Trophy's short history, and former Asian champions South Korea will be eager to pull off a surprise against the higher-ranked opponents. 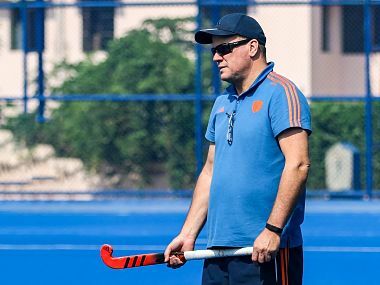 Indian team coach Roelant Oltmans has implored his side for positive results in this outing. "Our quarter-final ouster in the Olympics was a disappointment, but it has instilled a belief in the players that they can match the best in the world. 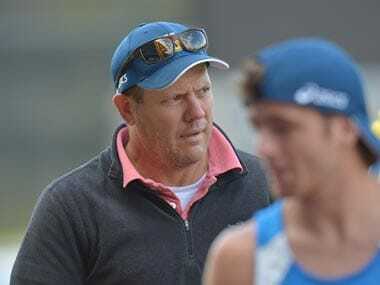 Now, Indian hockey fans will be looking for some good results," says Oltmans. Ranked number six in the world and way ahead of the other teams competing in this tournament, the Indian players are aware that nothing less than the title will be deemed as a positive result. By virtue of their Asian Games gold medal, India were the only Asian team to feature in the Olympic Games and their preliminary pool victory over eventual Olympic gold medalists Argentina was the spotlight for PR Sreejesh-led side. Memory of his penalty stroke-saving deeds of the 2011 Asian Champions Trophy final still fresh, captain Sreejesh is keen to give a thanksgiving present to the Indian hockey supporters who have kept the belief even in times of despair such as India's bottom spot in the 12-team Olympic competition in 2012 and the failure to even qualify for the Olympic Games four years earlier. 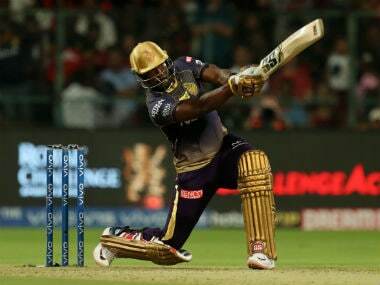 "Showcase your strike-power" is the message that's gone out to the Indian team from its skipper.